Gamestop has been investing in both its store and digital channels through the Gamestop Technology Institute (GTI), which it launched in March 2014. The retailer has 6,000 stores around the world and has been testing various technologies in 36 stores in Texas in the US. The GTI stores have been used as a test bed for consumer facing technologies, including iBeacons, Wi-Fi and mobile applications. Speaking at the National Retail Federation (NRF) conference in New York City this week, Gamestop president Tony Bartel said he still believes strongly in physical stores, but wants to use them to engage with its digital customers – a large proportion of which are millennials who are more open to using mobile devices while shopping. One technology innovation is the implementation of geofence and beacon technology using a supplier called Shelf Bucks. 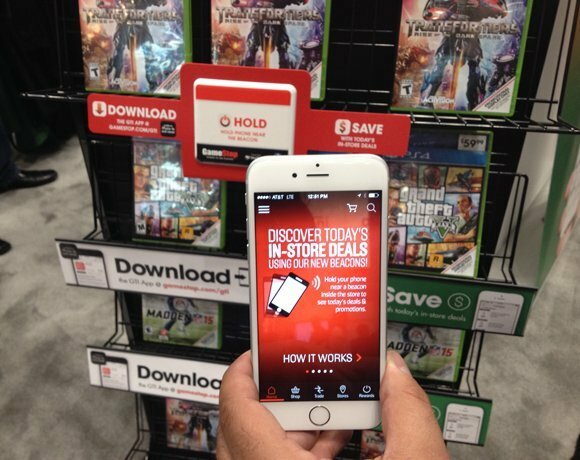 The geofence technology can serve personalised messages to customers’ smartphone through the Gamestop app as they walk near a store, while in-store beacon technology has been introduced to send information about games to customers’ smartphones after tapping a marker.